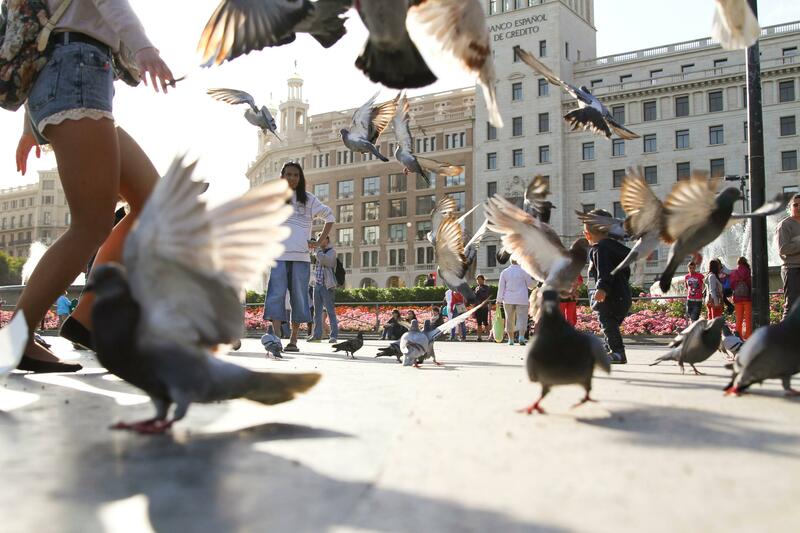 Passersby walk through a group of pigeons at Plaza Cataluyna in Barcelona, Spain. 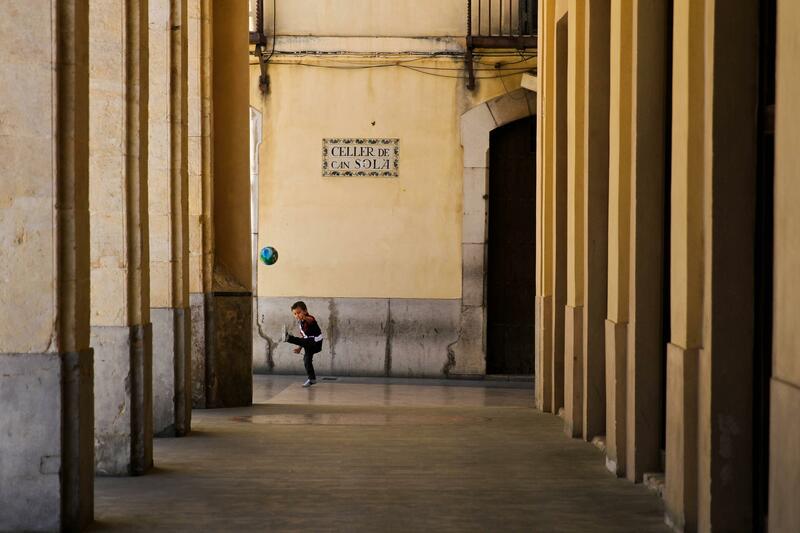 A boy plays at Placa de la Vila in Vilanova i la Geltrú, Spain. Editor's Note: Senior photographer Chelsea Purgahn is studying abroad in Barcelona, Spain for the summer and will be intermittently reporting interesting scenes she encounters during her trip.